1. 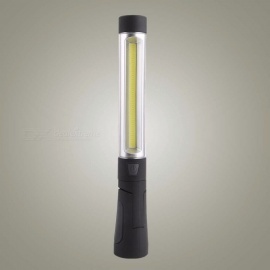 Adopting COB LED technology, it is an indispensable work light inspection lamp in the car. 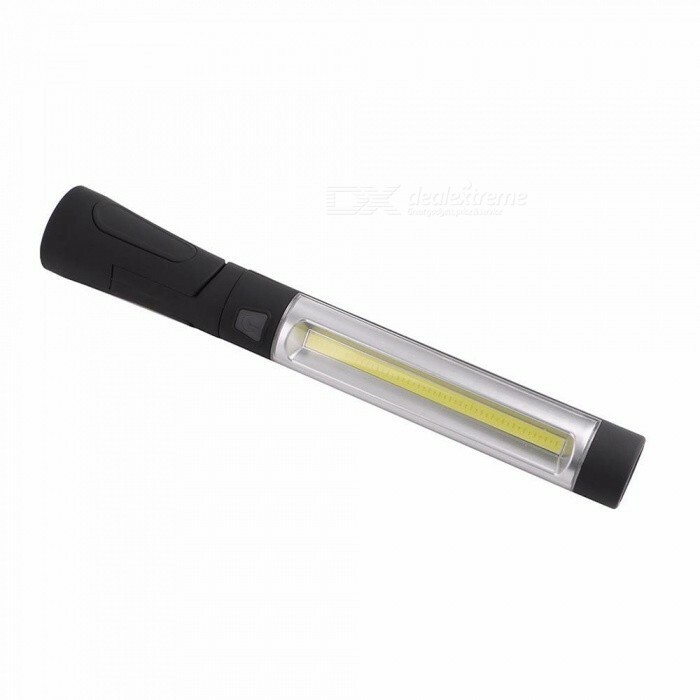 It also has 1 LED lamp bead at the top, which can also be used as a flashlight. 2. The outside of the plastic is sprayed with black rubber paint, which feels good, waterproof but not into the water. 3. Third gear mode: head 1W lamp bead / COB light / COB red light flash. Red flash can play a good warning role. 4. 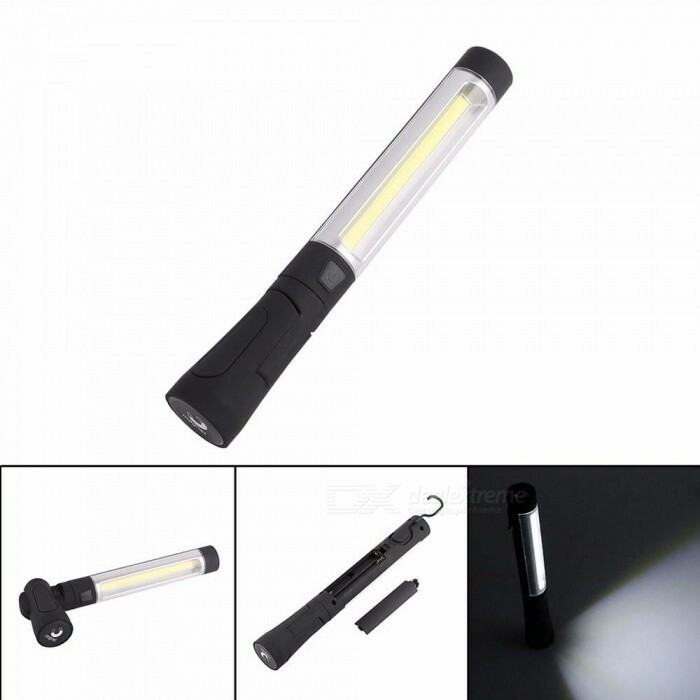 The flashlight can be rotated 120 degrees, the bottom with strong magnetism, can be attached to a metal object, such as a metal box, a car. The head has a hook that can be hung on a protruding object. 5. Suitable for search, hunting, daily carrying, patrolling, camping, fishing at night, or placing spare work lights on the car.